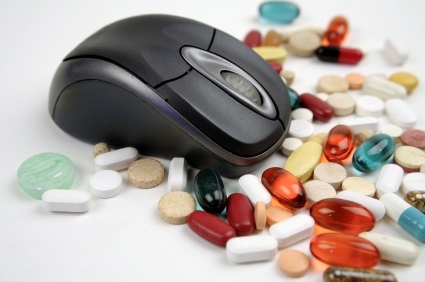 Most of the fake online pharmacies are simply fronts for stealing your credit card details or loading malicious software [spyware or key-loggers] onto your computer. Medical scammers often target people who are overweight or have serious conditions which have no cures, including multiple sclerosis, diabetes, Alzheimer's disease, cancer, HIV and AIDS, and arthritis. They usually offer either very cheap drugs, or drugs without a prescription from your physician. If the website does actually send you the drugs you ordered, you may receive drugs that are past their use-by date, counterfeit drugs, lower strength drugs, aren't safe to use with other medicines or products you use, have dangerous ingredients, aren't FDA approved, aren't made using safe standards or drugs that will be dangerous to your health. There are legitimate online pharmacies, however they will have their full contact details listed, and will require a prescription before they will send you any prescription drugs. Most people will find out about fake online pharmacies through receiving unsolicited email offering cheap or hard to get pills or treatments.